By Stefania Rudd. 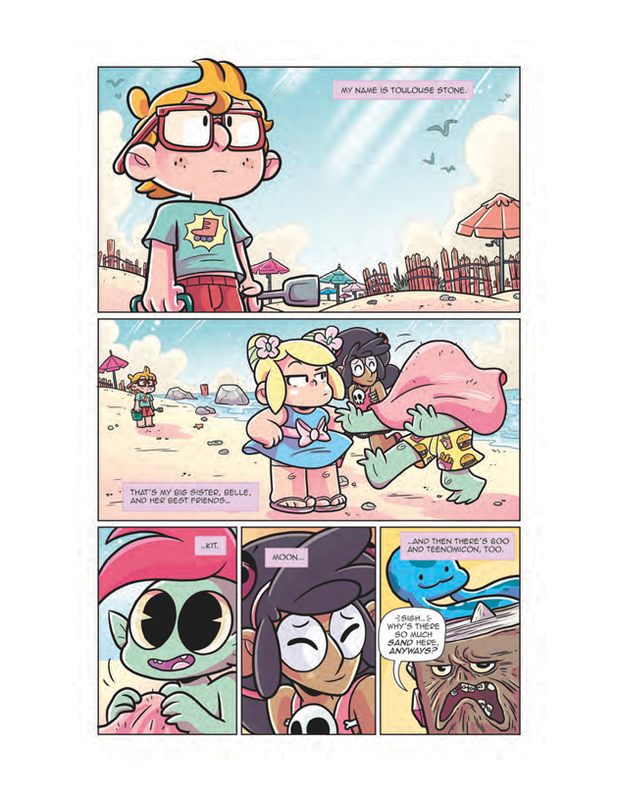 Ian McGinty’s second issue of Welcome to Showside sees our core group of friends who fight evil demon-monsters (Kit, Belle, and Moon) through the eyes of Belle’s younger nerdy brother, Toulouse. As with many younger brothers, there’s a hint of admiration within Toulouse’s longing for inclusion—and in this issue he gets just that when he’s the one to save the day! McGinty infuses humor and exposition at just the right moments, keeping the reader constantly engaged. He also continues with the “monster of the week” plotline by having the local bully, Chad Chaddingston, get possessed by a bad guy called Shadow King. As the gang does their best to use their powers to fight him, it isn’t until Toulouse and their favorite food truck owner, Chef Mike, use their wits and mechanical skills to defeat him. Although dealing with a plethora of characters, McGinty manages them with the gusto of a dauntless television series director, managing his wild ensemble with keen precision. His artwork continues to bring out the characters’ emotions and conveys movement in an animated way. I really hope more cartoon shorts start happening, after the release of the first one before the comic’s debut. Fred Stressing’s coloring brings it all to life with bold, bright hues, adding emphasis and flourish with shading and visual effects (the 3D-esque swirls that engulf possessed-Chad, or the glittering green movement of Moon’s spell). One thing I am especially enjoying about this series is that it all ties together cohesively. No panel looks out of place and no line of dialogue is off-key; you can tell everyone who works on this series loves it, so it’s easy for us to love it too. Welcome to Showside #2 advances the series’ overall quality with McGinty’s unique take on friendship, fitting in, and working together. This series is meant for all ages, and though that phrase can be a turn-off for some adults, it really shouldn’t be. 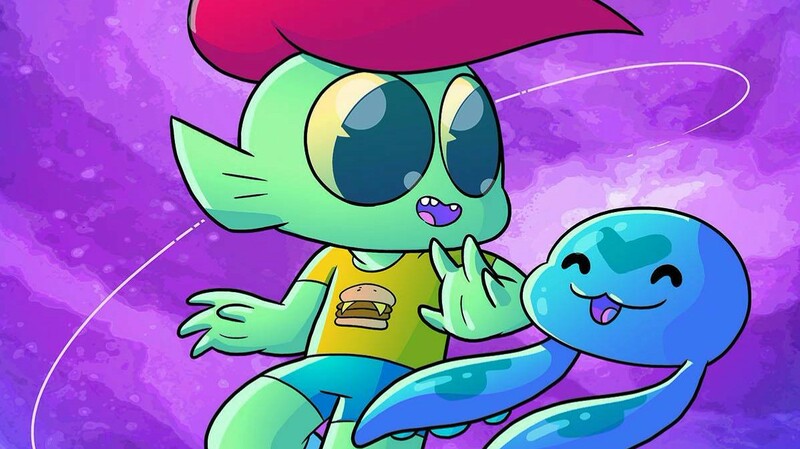 Fans of shows like Steven Universe will find the story’s sweet familiarity endearing, and what’s more, it can add some much-needed levity to all of our reading lists. (A quality, lighthearted read like this can do much to cleanse the palette after absorbing countless issues of superhero violence.) As we go further into the Nexus, I know there will be even more discover in this world of demon monsters and adorable protagonists. I look forward to seeing where McGinty will take us next. Created, written, and drawn by Ian McGinty. Colored and lettered by Fred Stressing.